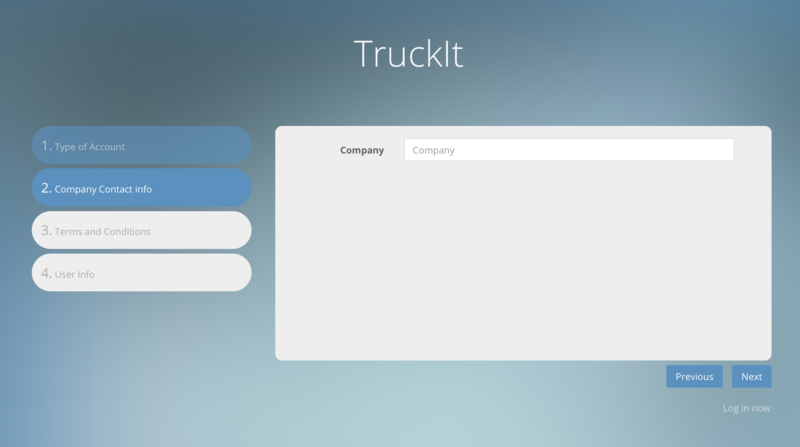 TruckIT — What Type of Account do I Need? Support Home > Getting Started > What Type of Account do I Need? 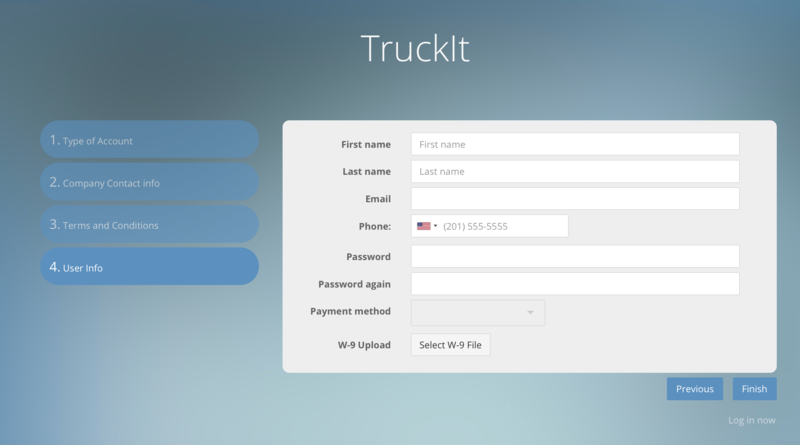 When creating an account for TruckIT, you are given two different choices: Contractor or Trucker. 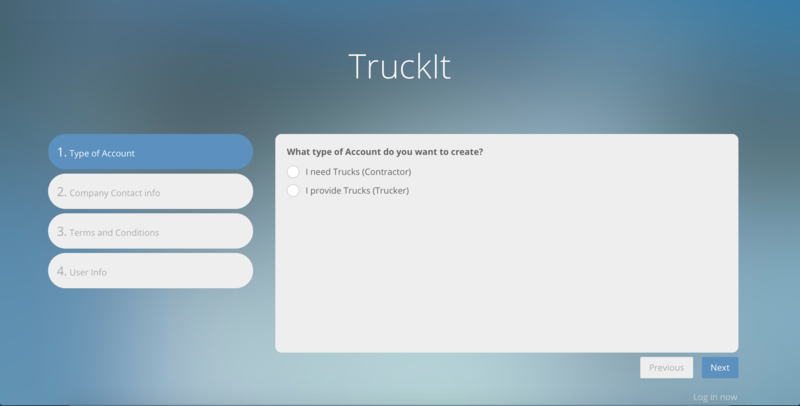 If you need trucks to fill a job order and would like to be able to post jobs to a job board, then the Contractor account will fill your needs. 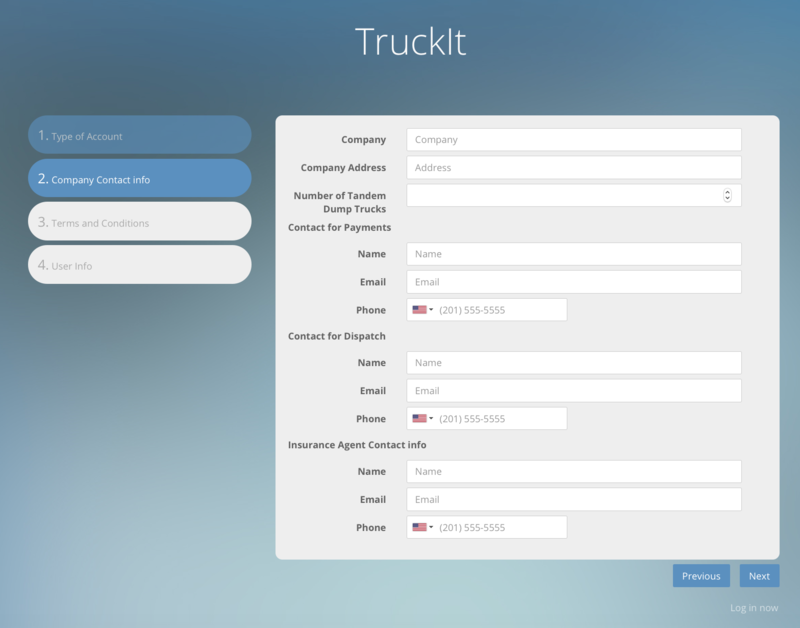 If you have a truck or will be providing trucks to fill job orders and would like to see available jobs on the job board, then the Trucker account will fill your needs. Both accounts require different information when creating an account. For a Contractor account continue reading number 1. For a Trucker account scroll down to number 2. Below is the Company Contact info for a Contractor account. This is where you will enter the name of your company. 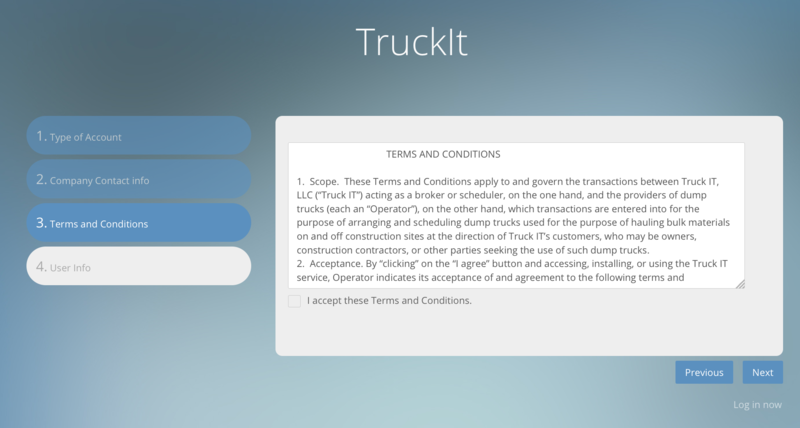 After clicking "Next" you will be shown TruckIT&apos;s Terms and Conditions as shown below. You will have to accept these Terms and Conditions before you can continue the Sign up process. After accepting Terms and Conditions and clicking "Next" you are then able to enter your user information and payment method. This page should appear as shown below. After filling out the "User Info" page and clicking "Finish" you will be redirected to the login page where you can log in to your new account using your email address as your user name and the personalized password you entered in "User Info" within the Sign up page. Below is the Company Contact Information for a Trucker account. This is where you will enter all of the information about your company, payment contact, dispatch contact, and insurance contact.